Radioactive iodine from nuclear reprocessing plants in the UK and France has been detected deep in the waters near Bermuda. Scientists say the contaminants take a circuitous route travelling via the Arctic Ocean and down past Greenland. Researchers believe the radioactivity levels are extremely low and present no danger. However, scientists can use the iodine to accurately map the currents that transport greenhouse gases. One scientific consequence that arose from the testing of nuclear bombs in the atmosphere in the 1950s was that their radioactive fallout provided a powerful global tracer of water circulation and deep-ocean ventilation. 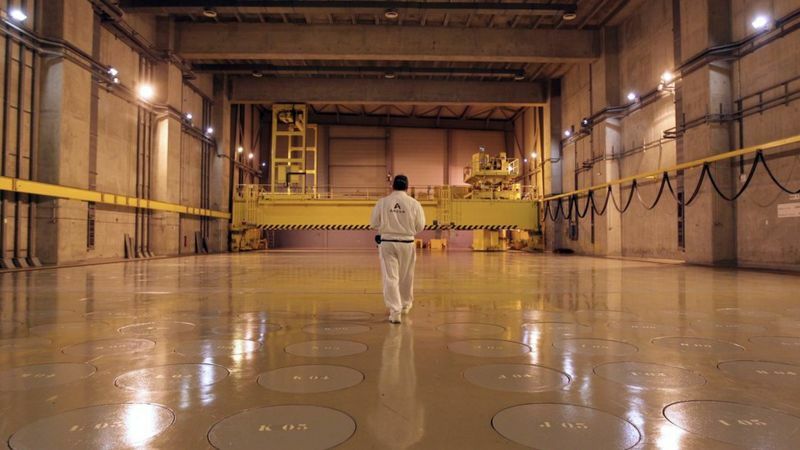 Other sources of radioactive material for scientists to track water movements have been the nuclear reprocessing plants at Sellafield in the UK and at La Hague in France. Contaminants have been legally released from these sites for more than 50 years. One in particular, Iodine-129 (129I), has been very useful for scientists tracing the ocean currents that help pull down greenhouse gases into the waters. “What we have found is that by tracing radioactive iodine released into the seas off the UK and France, we have been able to confirm how the deep ocean currents flow in the North Atlantic,” said lead researcher Dr John Smith from the Bedford Institute of Oceanography, in Canada. Scientists have used other molecules as tracers, specifically chlorofluorocarbons that were once used in refrigeration. But 129I, which has a half-life of 15.7 millions years, retains the initial imprint of its input history over a long period of time. Another advantage for researchers is that 129I is relatively easy to detect at extremely low levels. “In many ways this is a bit like the old ‘stick in a stream’ game we used to play as kids,” said Dr Smith. This new study is part of an international project called GEOTRACES that uses geochemical markers to follow ocean currents. The scientists say that 129I has been measured as far south as Puerto Rico, but the expectation is that it will continue to flow southward into the South Atlantic and eventually spread throughout the global ocean. “The advantage of using 129I as a transient tracer in oceanography is the long half-life of this isotope compared to the circulation times, and the fact that it is largely soluble in seawater,” said Dr Núria Casacuberta Arola from ETH, Zurich, who wasn’t involved with the study. The research has been presented at the Goldschmidt2017 conference in Paris. Previous PostCome to Papa 2017Next PostHow much Fukushima contamination is in migratory Pacific fish?